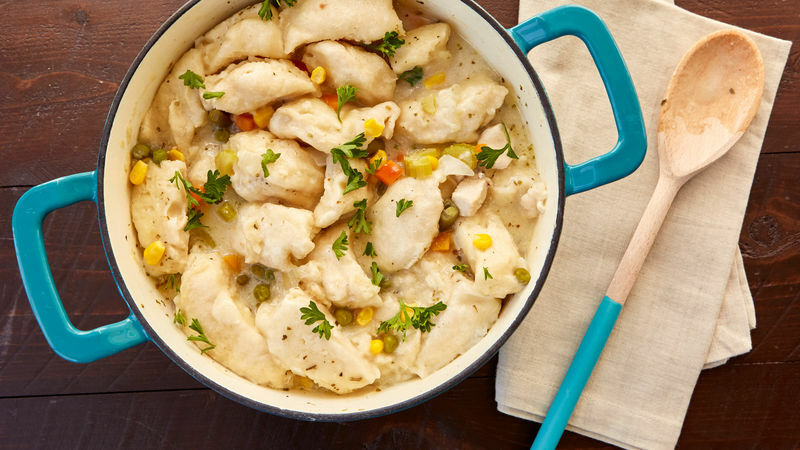 In 4-quart saucepan or Dutch oven, melt butter over medium-high heat. 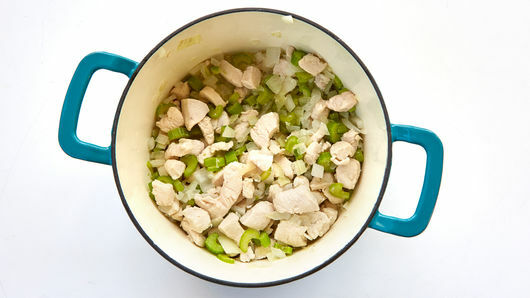 Add chicken, onions, celery and garlic; cook 6 to 8 minutes, stirring occasionally, until chicken is no longer pink. Add frozen mixed vegetables, broth, parsley, salt and poultry seasoning. Heat to boiling, stirring occasionally. In small bowl, stir milk and flour until smooth. Add to chicken mixture; bring to a boil. Reduce heat to low. Separate dough into 12 biscuits. Cut each biscuit in half. Starting around edges of saucepan, arrange biscuit halves on top of chicken mixture, overlapping slightly in spiral fashion. 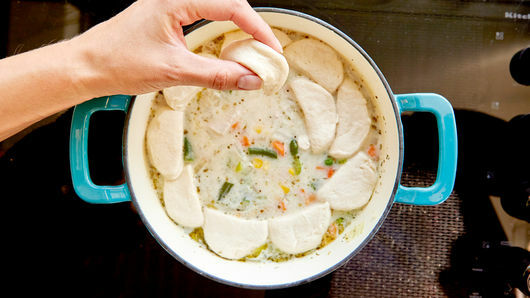 Cover; cook 20 to 25 minutes or until biscuits are fluffy and no longer doughy. 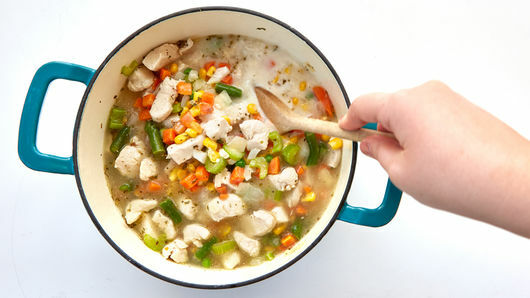 Stir chicken mixture gently before serving. Poultry seasoning is a blend of herbs and spices such as thyme, sage, marjoram, rosemary, black pepper and nutmeg. Each of these seasonings goes well with poultry; mixed together, the combination provides a subtle, complex flavor the individual seasonings do not have on their own. Just before serving, sprinkle dumplings with chopped fresh parsley leaves. Serve this all-in-one chicken dish with spinach salad tossed with a light vinaigrette.